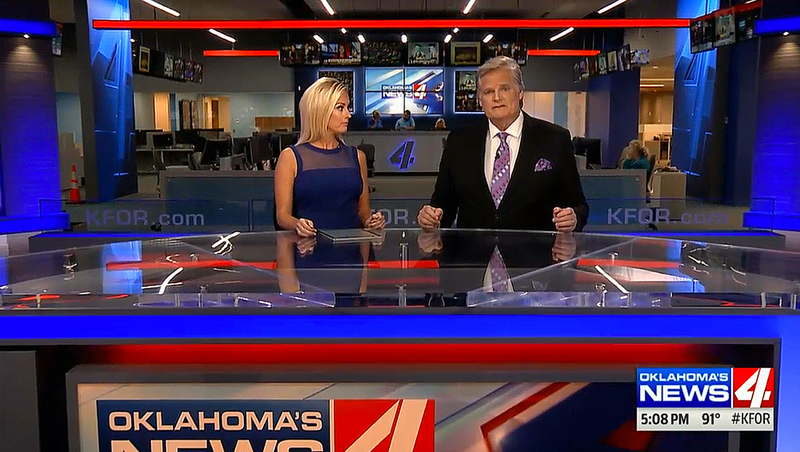 KFOR, the Oklahoma City NBC affiliate, has moved into a new facility and, along with the new building, debuted new news branding, set, graphics and music. The building itself is designed to stand up to severe weather — namely the tornadoes that are know to sweep across the area. The windows features protective glass designed to stop a two by four and other debris during severe storms and thick walls built with concrete and steel reinforcing are designed to be tornado resistant. Inside, the building features a plan that encourages collaboration between departments. 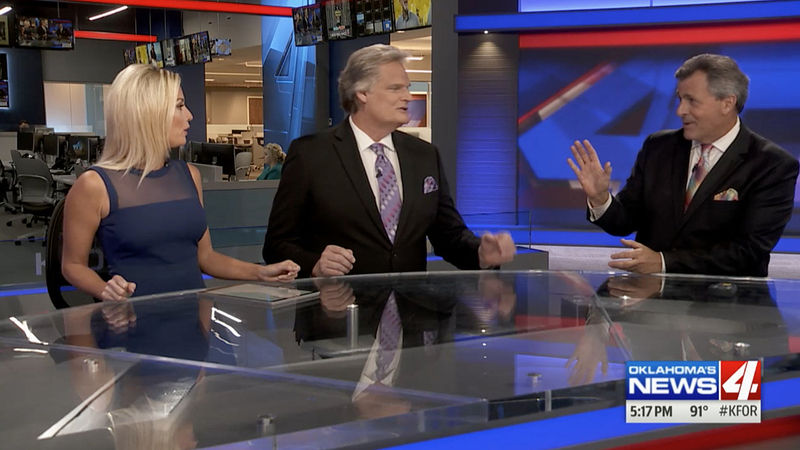 One of these work areas is the station’s newsroom, which also serves as the primary background behind the new set from Broadcast Design International. The technology on set was provided by Panasonic with integration by Tribune. 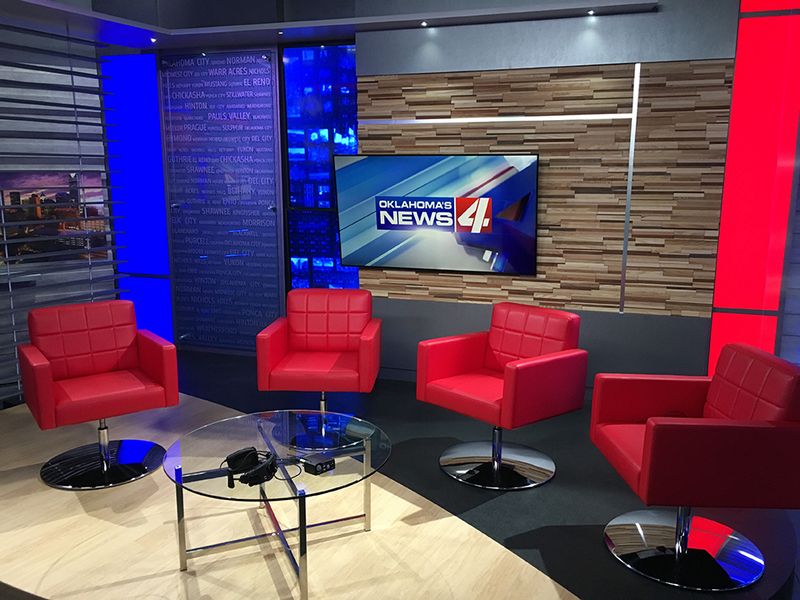 The studio space itself is separated by a knee wall with frosted panels and also features an option to cover the newsroom opening with a video panel. 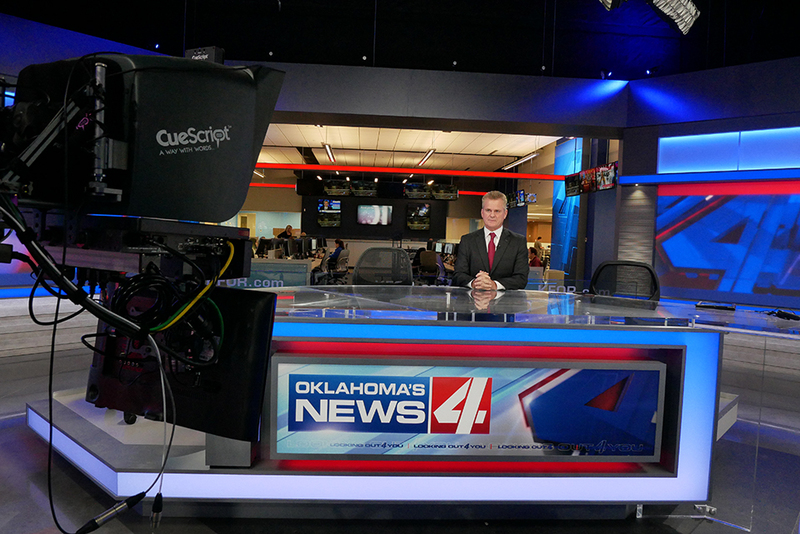 The design of the newsroom itself is carefully integrated into the set design, with rows of sleek monitors, color changing textured walls and the station’s logo emblazoned on the front of the assignment desk, which is visible between the anchors on the primary two shot. Also included is a four-panel video array in the center, which also appears prominently behind the two shot. 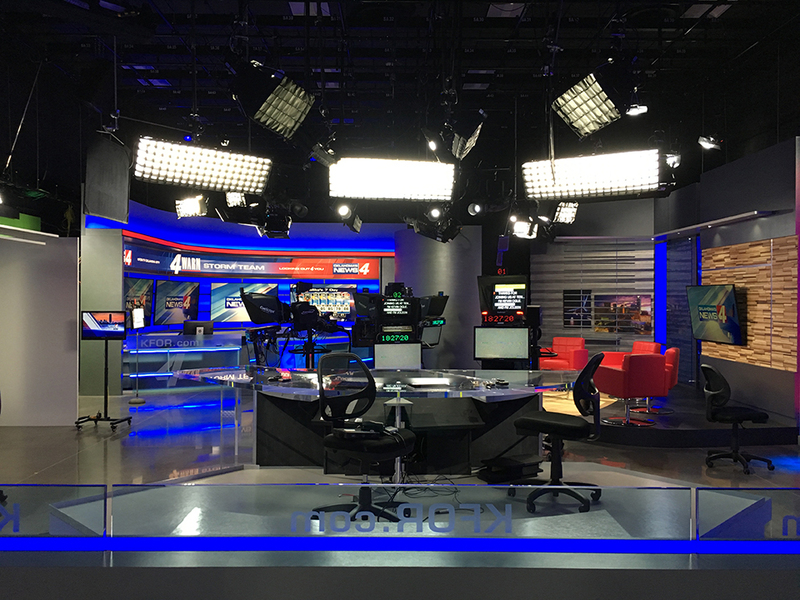 The studio space is home to the anchor desk, which features internally lit elements and a video panel. 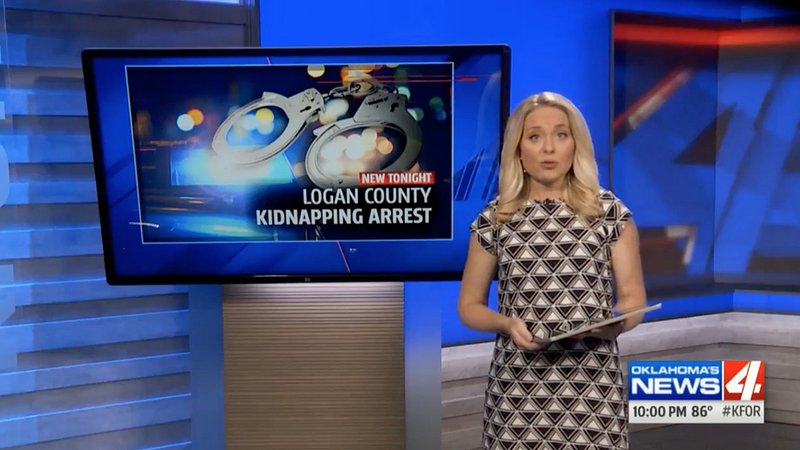 One either side of the anchor desk are video walls that provide subtle animations. One of these walls extends behind an additional video array, while a second area features a freestanding video panel and LED background. Both of these areas are designed to be flexible to be used for a wide variety of standup style shots, while additional banded faux stone walls add texture to the area, a look that is also used in the base walls of much of the set. 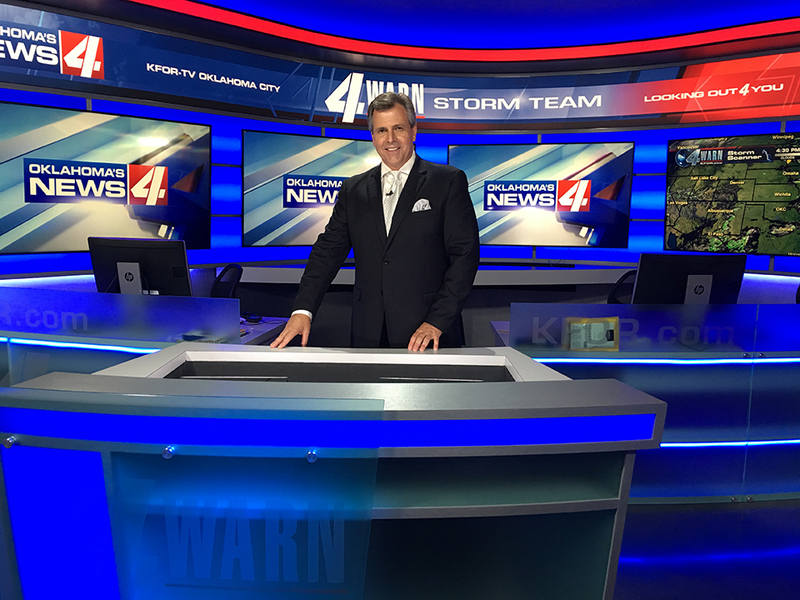 Across the studio is a wraparound weather center that features prominently branded headers, large video panels and a curved work counter with integrated presentation pod at center. An additional flexible area can be used for interviews and features a banded wood toned wall, flatscreen and backlit columns. Also included is a frosted panel with locality names and divider with horizontal slats.